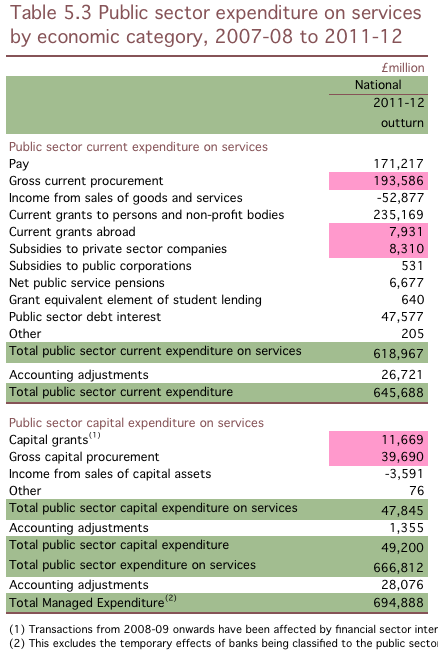 Taken from HM Treasury's Public Expenditure Statistical Analysis, Table 5.3. "Current grants to persons and non-profit making bodies" is mainly old age pensions and welfare payments plus a chunk for fake charities; "Pay" means public sector pay, 7 million people @ £25,000 each. And then they spend as much again on corporate welfare.